I don’t know if you’ve heard of a pay day loan but it really is an interesting concept. In times of crisis, many companies have cash on hand and want to loan it to you. You will have to pay a hefty price for that “emergency money” with high interest rates and other associated fees. We never know when emergencies will come up. Things like medical emergencies, car breakdowns, and job loss are all unplanned emergencies. We would never wish these situations on other people and many times it causes financial strain. This is where payday loan companies come in. Typically, a payday loan is no longer than two weeks and they will charge you a high interest rate for that period. You will probably have the option to roll this loan over to a second one after the two weeks are up. These types of payday loans serve people well in times of stress and serious emergencies. The other side of the fence believes that this time of lending is unethical and borders on predatory lending. 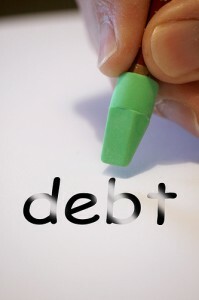 You don’t want to be taken advantage of and find yourself looking for free debt consolidation. So, how do you know if this type of loan is for you? Well, one should look at their finances and be confident that you will repay the interest after the loan is complete. This is critical to avoid added debt and financial ruin. They are here to lend money in times of need, however, they want their interest and they will get it. You need to understand what you’re getting involved in and make a conscious, thoughtful decision. You will want to avoid debt in all thee cases. At the end of the day, you need to take a good hard look at your time frame and decide whether or not a payday loan is made for you. Interest will pile on extremely quick so taking too long to pay off the loan is a reason to avoid this situation altogether. If it’s a small, easily manageable situation, a payday loan may work for you. When Should you go for a Reverse Mortgage?